While shopping at my favorite An Trach Market one of the vendors told me she was having a slow day. 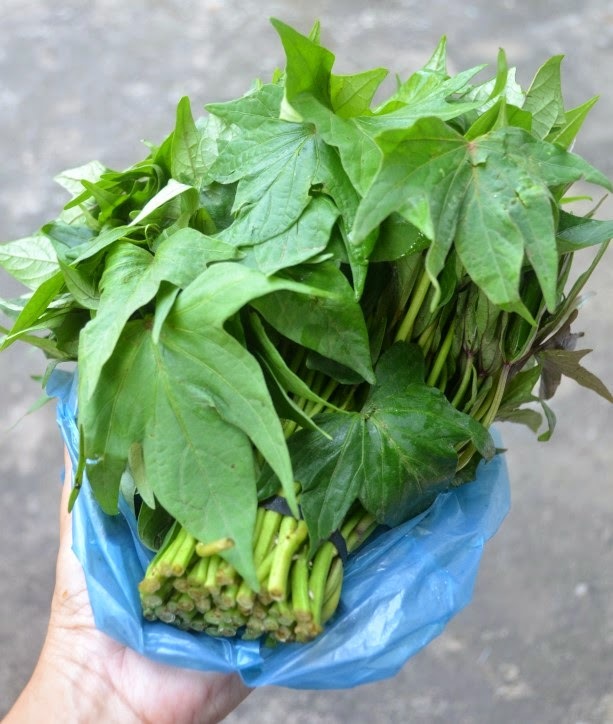 She pointed to a small pile of neat little bunches of very fresh and tender looking đọt lan in Vietnamese (or sweet potato tips and leaves) and asked if I would like to purchase some. I was not intending to buy any but I figure I probably could make something with these. While talking to my mother she gave me an idea to boil them first to help soften them a little and then quickly stir fry them in garlic and some seasoning. She also said you can steam these and dip in a salty dish or sauce. 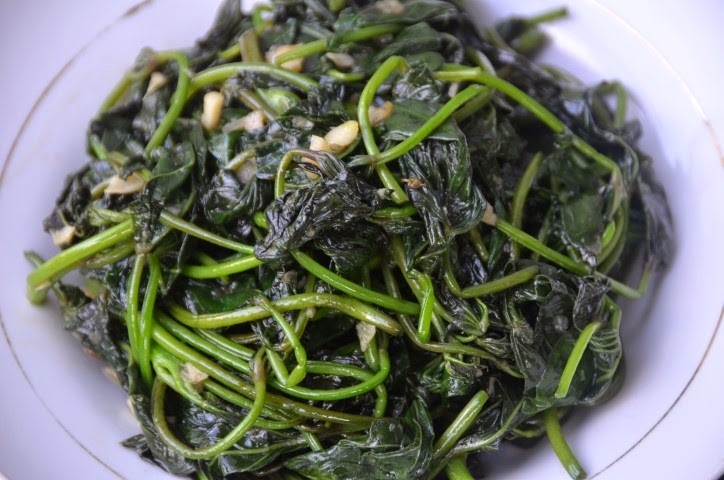 Here is a quick and simple way to eat these delicious young greens. 1) Boil a little water in a pot. Once the water starts to boil, add the potato tips and leaves and occasionally stir for about 2 minutes or until the leaves are wilted. Remove and drain. 2) In the same pot or pan over medium high heat. Add oil once the pot or pan is hot. Add garlic, shallot and ginger. Saute about 30 seconds or a minute but avoid burning the garlic. 3) Add the blanched potato tips and leaves. Saute about 3-4 minutes. 4) Add oyster sauce, fish sauce and sugar (adjust according to your taste). Saute about another minute. *Some Asian groceries in the United States may sell these sweet potato tips and leaves. 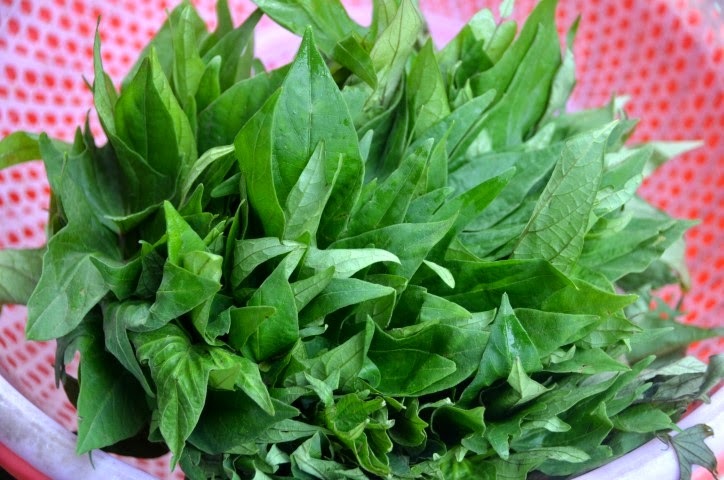 You can grow these or perhaps you can ask your local farmer to grow some for you.